Z Prep! What you need to know about the ACT college entrance exam | Z Prep! The ACT is a standardized college entrance exam that tests your skills in English, Reading, Math and Science so that colleges can make admissions and placement decisions. High school students usually take the ACT in their Junior year, but it’s a good idea to take it more than once to improve your chances of getting a good score (according to ACT, 57% of students get a better score the second time). We encourage students to take the ACT as early as their sophomore year. The ACT exam is administered six times a year around the country (three of those in the Fall) and registration can be completed through the ACT website. Here’s the next exam date. While the ACT is widely used, a few schools may have a preference for either the SAT or ACT exams, so check with the colleges you are applying to. Since most schools accept both exam results, you may want to take both the ACT and SAT to know for sure which one suits you best and raise your chances to do well. In general the ACT is a bit more focused on facts and content, while the SAT puts more emphasis on reasoning. The ACT also focuses more on concepts in math and science (there is no science on the SAT). See more of the differences between ACT and SAT on our infographic. 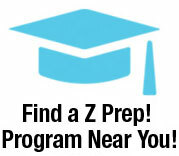 In Z Prep!’s test prep programs, we can help you determine which test best suits your talents and will help you get the best result. What about the optional writing test? In addition to multiple choice questions on the four subjects mentioned above, there’s a 30 minute optional writing exam as well. Be aware that some colleges and universities may require the writing portion of the exam, so be sure to check whether that’s the case for the schools you are interested in. If you plan to major in a subject where writing is important (English, business, pre-law and so on), it’s a good idea to take this part of the exam as it will help you in admission and placement to these major programs. How is the ACT exam scored? Each of the four sections consists of a number of multiple choice questions and each section is scored on a scale of 1-36. Your four section scores are then averaged so your final score, also between 1-36, is a composite score. When you receive your scores, you will also see how you rank nationally against other students who have taken the exam. Your writing test is scored separately, and is accompanied by an additional score representing a combined English(⅔)/Writing(⅓) average score, also on a scale of 1-36. If you take the exam more than once, the ACT will only send the scores from the test date you designate on the request form to your college or university, they will not send all your scores. How will my ACT score be used? The ACT exam, like the SAT, is used by US colleges and universities to make admissions decisions by identifying students who fit well with their institution and who can best benefit from their programs. 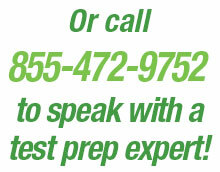 Your results may also qualify you for scholarship and student loan opportunities. And, your college advisors may use it to make first year course placement recommendations for you which will help make sure you end up in a course level in which you can do well. Plan to prepare at least 6-8 weeks in advance, longer if possible. It’s best to have an ACT prep manual that you can go through to be reintroduced to all the material and see it in the format that is used on the exam. Set aside a regular time to work on your test prep and don’t skip sessions because it’s very easy to fall behind. Working with someone such as a tutor is a great way to get focused faster and quickly identify the areas where you need help. In addition to helping you set up and stay on track with your study program, a tutor will provide help in your weak areas so you can overcome your biggest problem areas and optimize your score. And, an experienced ACT tutor will help you learn the test-taking skills you need to take the stress out of the exam and help you do your best.